Why is Trump's artwork so expensive? 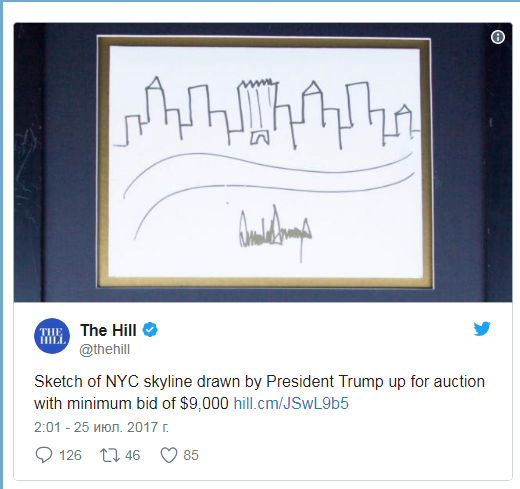 NYC skyline drawn by President Trump with autograph painted back in 2005, was actually bought for so much money. Auctioneers honestly admitted that the drawing is primitive. But in the words of the 43rd US President George W. Bush : "A signature is more important than the painting itself." By the way, George W. Bush, after retirement became interested in painting and did more than 200 paintings. There is a portrait of Vladimir Putin among his works. 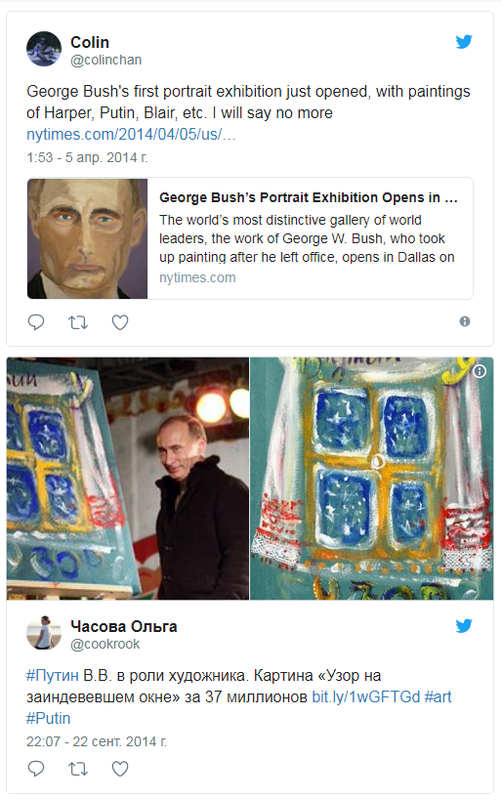 Russian president was involved in the artistic process. Written in 2009 painting "The pattern on the frosted window" was sold at a charity auction for 37 million rubles. Valentina Matvienko sold her works at auction three times. One of her works ( "Blizzard") was sold for 11.5 million rubles. But the most expensive work of art has become a picture of Tobolsk Kremlin, made by Dmitry Medvedev in 2008. At a charity auction it was bought for 51 million rubles.! 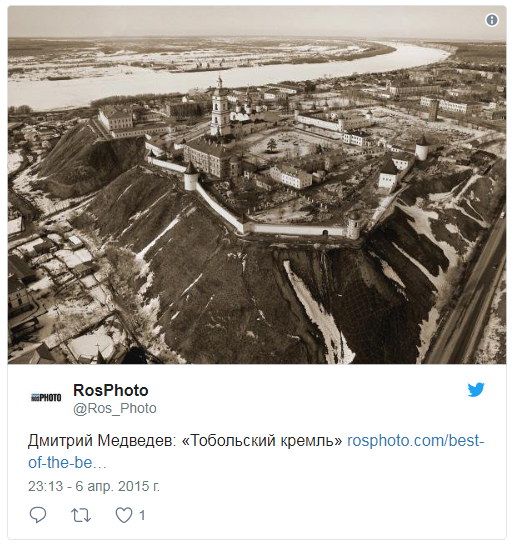 Photo "Tobolsk Kremlin" went under the hammer at the auction "Christmas alphabet", dedicated to charity. The cost of work by Russian standards is impressive - 51 million rubles. ($ 1.7 million at the rate of 2009) The uniqueness of the picture is due to the author's uniqueness. It was made in 2009 by the now ex-President of the Russian Federation Dmitry Medvedev from a bird's-eye view during the excursion.